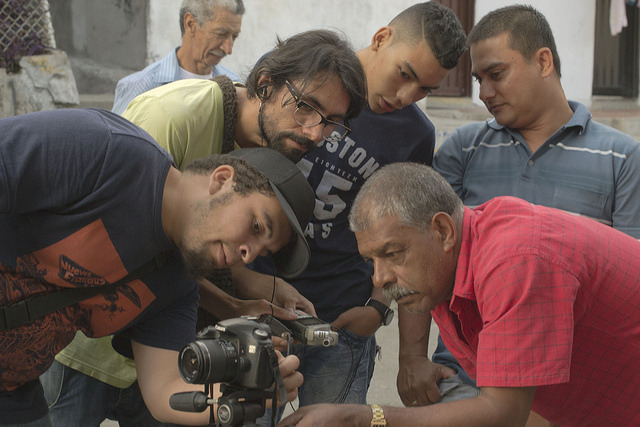 May 2014 | Following up on WITNESS’ work at the World Urban Forum and Peoples’ Alternative Urban Social Forum, Laura Salas published a blog post highlighting several groups using video to document human rights abuses and preserve the memory of communities facing eviction in Colombia. For this, before El Naranjal disappears, we want to explore it, get to know it, get inside of it and feel it before the demolition begins and before the buildings and parks are constructed. Before the residents abandon their homes. Before the mechanics leave their shops, before this disappears because of progress, we want to remember it and not let it be forgotten. Read the full post here in English or in Spanish.